Jim Steele's family wants the world to remember him as poet, scholar, father and friend he was. DENVER — At Mercury Cafe on Sunday nights, the people at the mic have endless words to describe a name. Every week, they host an open poetry slam, and Jim Steele was a frequent contributor. "He was very passionate about his poetry," said his daughter, Leslie Steele. "He was,” laughed his other daughter, Maryann Meyer. The two flew in from Ohio after they got a call from police last week telling them their father was killed in a hit and run crash at 15th and Blake streets. 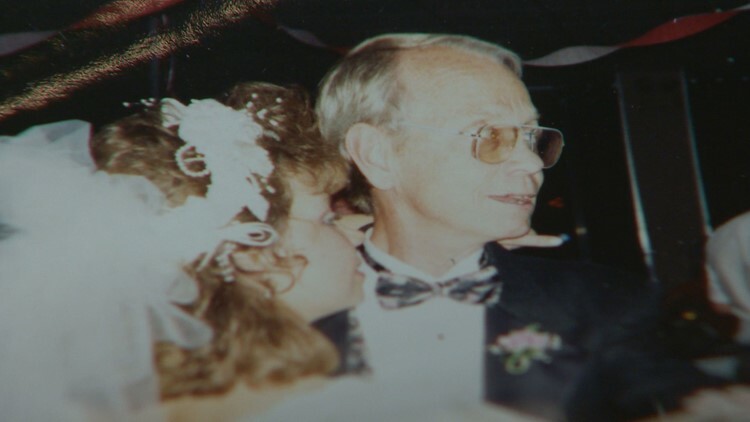 “I wanted the Denver and the Colorado community to know that my father was more than just James H. Steele, 82, victim of a hit and run," Steele said. "He was a larger than life character." Jim Steele had a Ph.D in material science. He was an army veteran, a marathon runner, a bridge player and a poet. “He wanted to get the word out to everybody just how inspirational words can be," Meyer said. He only started writing in the last 10 years of his life after he had a seizure that his daughters said sparked a more creative side of his brain. He published a book of poems and it was displayed prominently at the Mercury Cafe on Sunday night as Steele's friends read poems they wrote about him or read his poems aloud. “He’s gonna be legacy for a long time in this community, and in the Boulder community, and maybe others that we don’t even know of," Meyer said.